A hunter has fallen off a cliff to his death while trying to aim at a wild goat in Turkey’s southwestern province of Muğla. According to Demirören News Agency, 55-year-old Mehmet Uysal was on the Balan Mountain in the Marmaris district on Feb. 5. Accompanied by his cousin, Uysal spent the day hunting before noticing wild goat on a rocky cliff in the evening. While trying to aim at the animal with the binoculars of his rifle, the man stumbled and fell some 60 meters into the valley. A search and rescue team that was called by his cousin found Uysal dead and retrieved the body with an operation that took more than two hours. 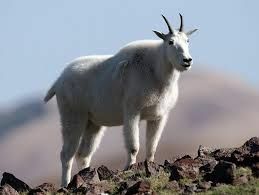 Unlicensed hunting of various wild goat species, which are under official protection, is illegal in Turkey and poachers are regularly given hefty fines. Turkish authorities occasionally issue temporary licences for designated areas seasonally and with quotas.